DHARAMSHALA, Feb. 1: A Tibetan political prisoner who was released from the Mi-Nyag Ra-Nga-Kha prison in occupied Tibet’s Kham region just two weeks ago is in critical health, sources said. The 42-year-old Tibetan monk, Choekyi from Phugugon monastery in Serta County, imprisoned for four years under the charge of carrying out 'splittist' activities, was released from the prison on January 18. He was said to be suffering from a kidney condition prior to his arrest in June 2015. His conditions reportedly worsened after being tortured and suffering from malnutrition. Tibetan political prisoners are held in Chinese gulags that fail to uphold many international prison norms and fail to adhere to international standards when it comes to treatment of prisoners. Experts say that Tibetan political prisoners are made to do hard manual work that include working in stone quarries, coal mines and work that are exposed to toxic chemicals and other harmful substances. Choekyi who was released five months before the end of his term, many say is a standard Chinese government practice of releasing prisoners who are terminally and critically ill to avoid death-in-detention woes. According to Dharamshala based Tibetan Centre for Human Rights, in 2008 alone, there have been 30 known cases of Tibetans dying in detention. In 2014, 11 Tibetans died in detention. 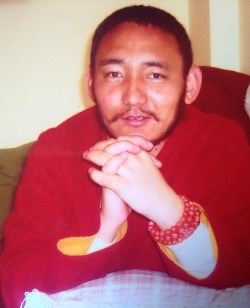 The death of Tibetan Buddhist leader Tulku Tenzin Delek is the most well known case of death in detention in Chinese prison. He died on July 12, 2015 in Chengdu prison under mysterious circumstances. His relatives and family who were not allowed to meet him say that he was poisoned. He was cremated hastily by authorities in the absence of any of his family or followers.